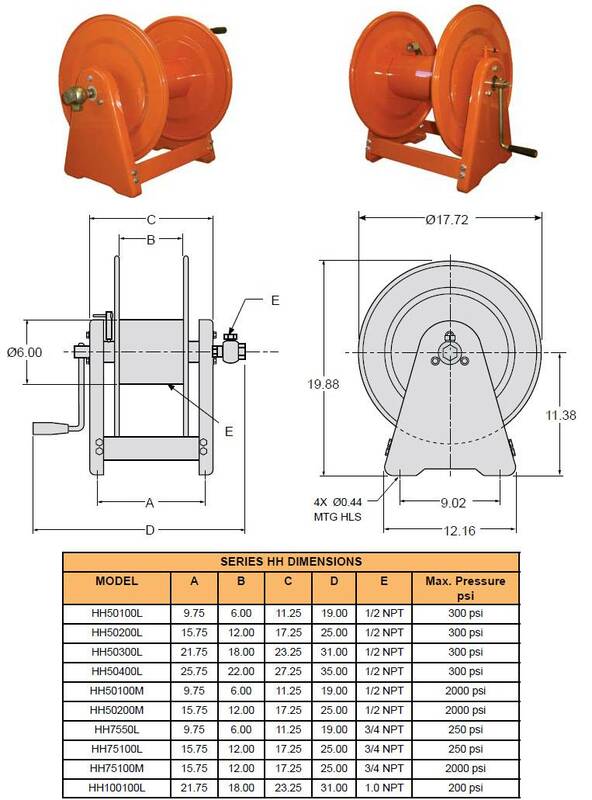 Choose reels designed for 1/2", 3/4" or 1" hose. Standard reels are supplied with EPR seals in the swivel joint, specify application when ordering if standard EPR is not acceptable. Hose is not included with reel, therefore the hose must be purchased separately and matched to reel for your specific application. Full flow shaft and swivel assure maximum product delivery. Input fitting on the swivel joint is the same size as the output fitting on the reel spool.